We use our nose to smell things. The nose: The two external cavities are called nostrils and take the air into the nose. 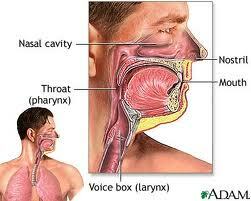 Behind the nostrils we find the nasal cavity.